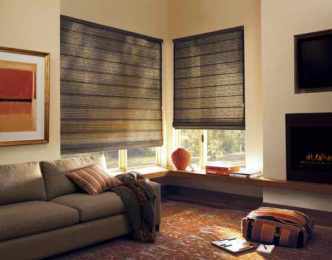 Design Studio™ Roman shades come in a wide variety of timeless fabrics like cotton, silk and linen. Available in four distinct styles. 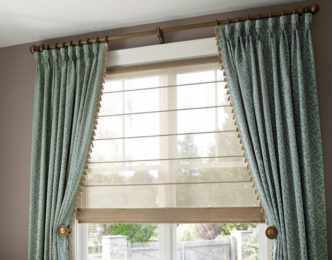 Customize even further with tapes, trims and different valances. 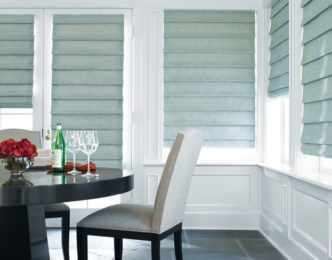 Hunter Douglas Design Studio™ Roman Shades come in four distinctive styles, each designed and crafted with quality and innovation. 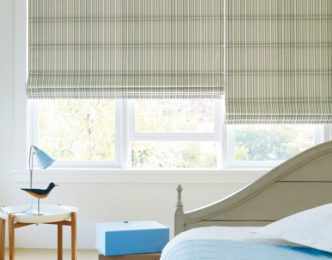 Select from the Batten Front, Batten Back, Hobble or Flat style shades. This exclusive fabric collection includes sophisticated textures, designs, stripes, rich solids and sheers. 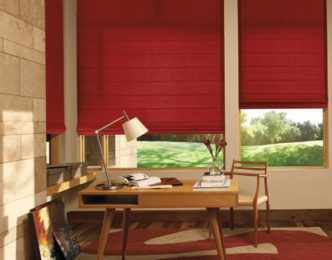 And fabrics are woven in widths that allow shades up to 96” wide without vertical seams. 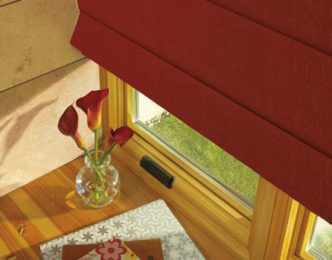 DECO Window Fashions in Austin, TX is your local authorized dealer for Hunter Douglas window fashions.